Under the sign of ceramics. 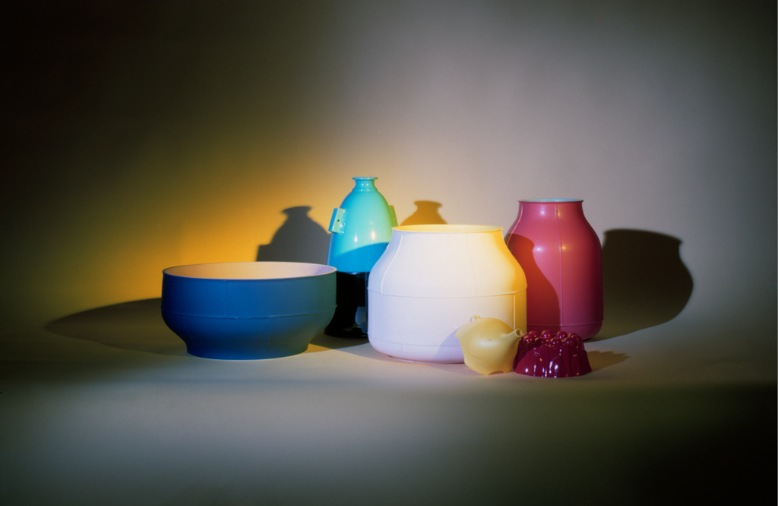 Two-tone blue bowl, yellow vase and red vase by Benjamin Hubert, from the Seams collection for Bitossi Ceramiche. 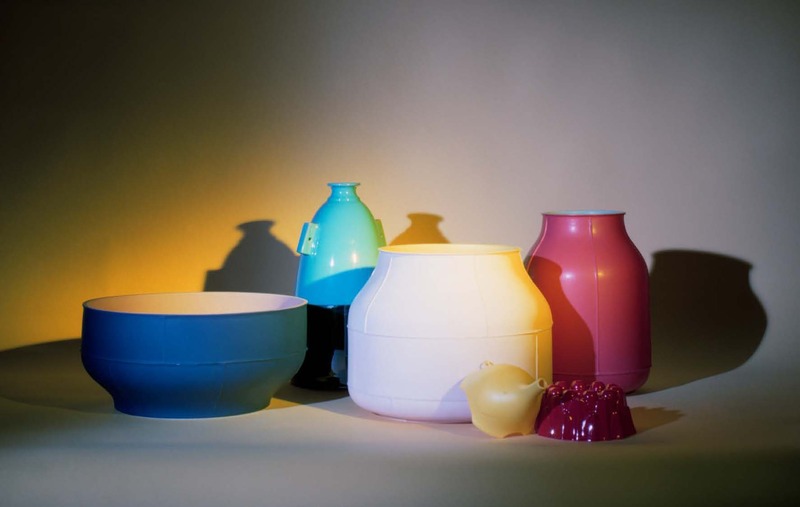 Turquoise vase, an original from 1973, also by Bitossi Ceramiche. Ruby red flower cake mold by Bitossi Home. In yellow plastic, the Tescoma funnel. Gear Electrical and mechanical. 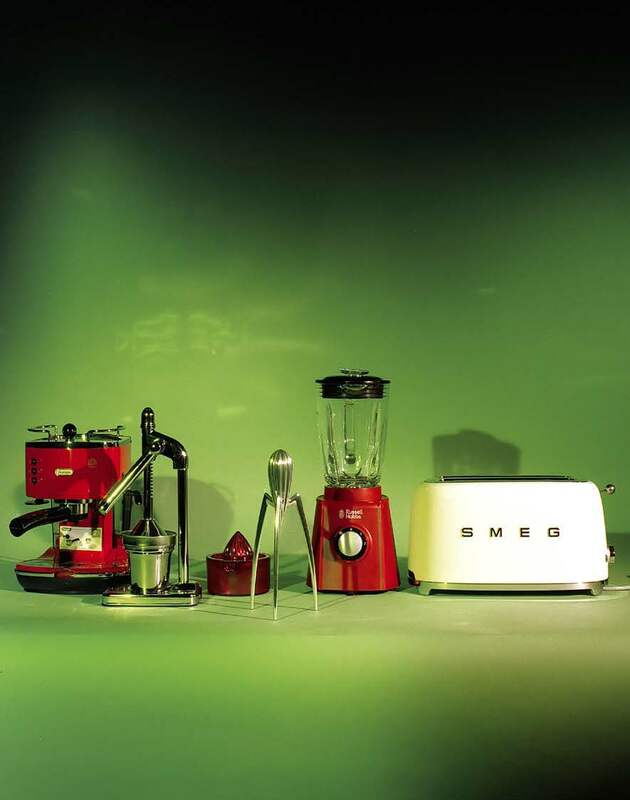 Coffeemaker by De Longhi, manual citrus squeezer in metal with lever by Maiuguali, Citrus squeezer in transparent red plastic, and the Juicy Salif model by Philippe Starck, both by Alessi, blender by Russell Hobbs, toaster by Smeg. Breakfast time. 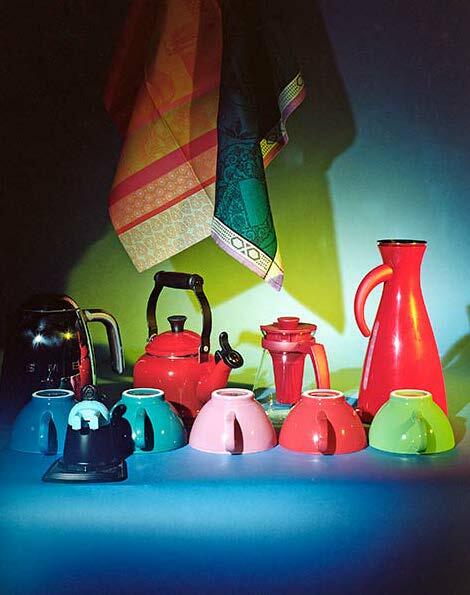 From left, in chrome steel, Smeg tea kettle, Le Creuset red metal teakettle, Tescoma teapot in glass with filter, thermal carafe caffelatte cups in colored ceramic by Bitossi Home. In the foreground, small coffee machine for 2 cups by Maiuguali Appesi, dish dryer by Le Jacquard Français. Cleaning, for example. From left, microfiber dust collector by Moroni Gomma, violet and yellow striped cloths by Veleda, red microfiber cloth by Tescoma. 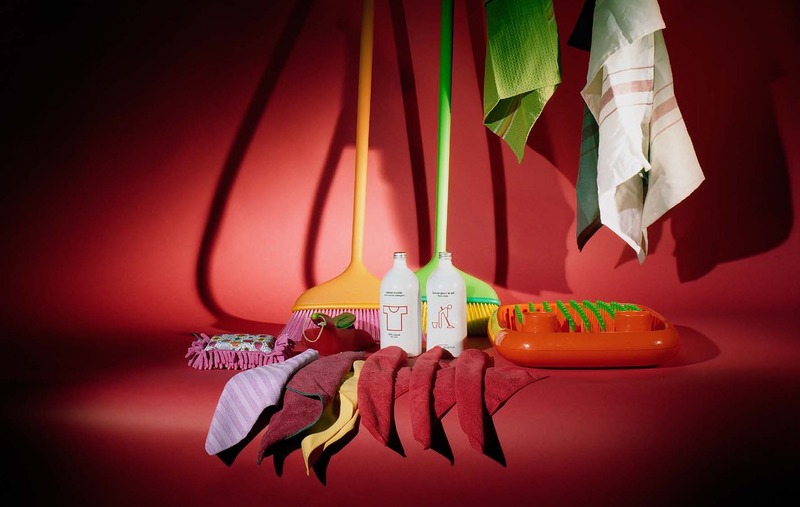 Liquid detergents from Moroni Gomma, Magò broom pair by Magis, Dish Doctor by Magis. Hanging, green dishtowels by Le Jacquard Français, striped on natural background by Fazzini. Tick tock. 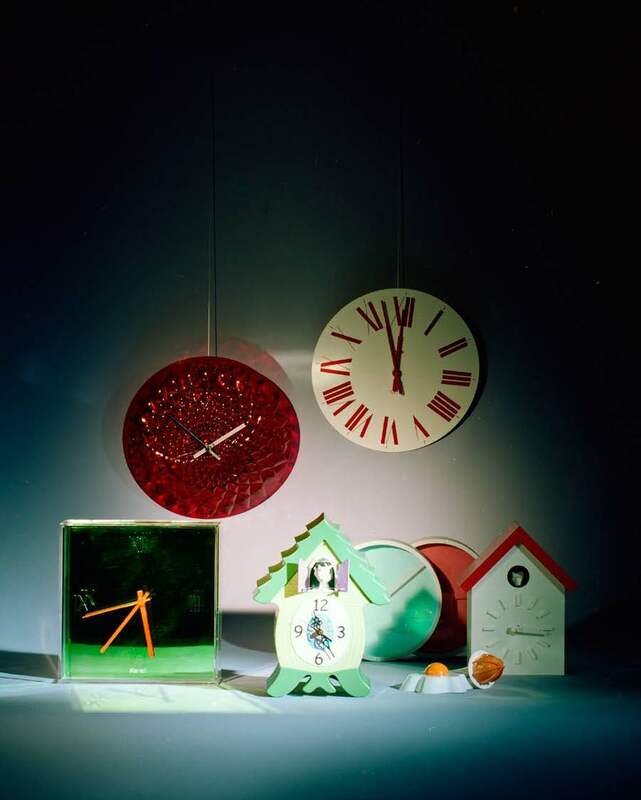 From left, square format for the Kartell wall clock designed by Starck, diamond-effect round model in ruby red by Guzzini, Roman numerals from Alessi, Moocoo clock by Gift Company, Cu-clock with orange roof by Magis, round Glow models in two color versions by Gift Company. An egg-shaped form for the timer by Maiuguali and the lemon squeezer by Tescoma. 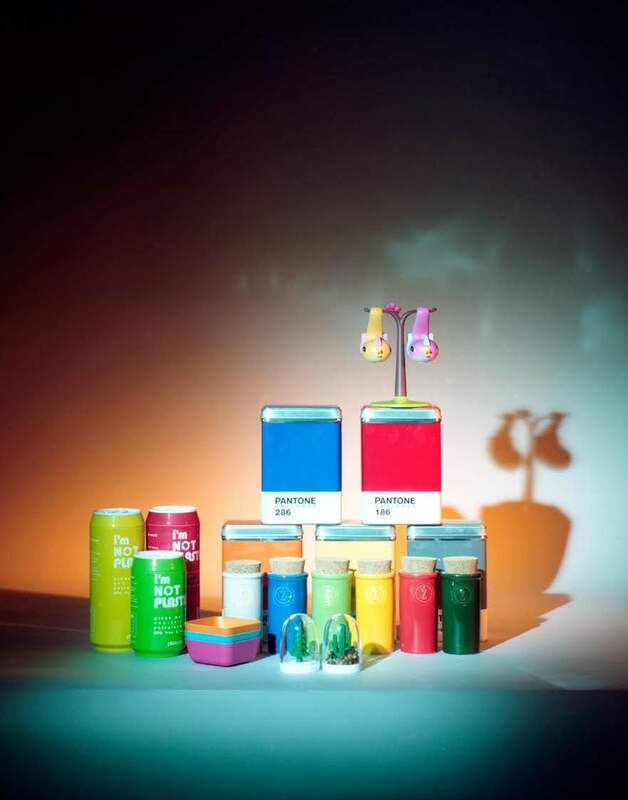 Can-shaped containers by Schönhuber, stackable bowls by Bitossi Home, multicolored spice jars with cork tops by Schönhuber, Pantone tin box by Seletti, salt and pepper set by Alessi.